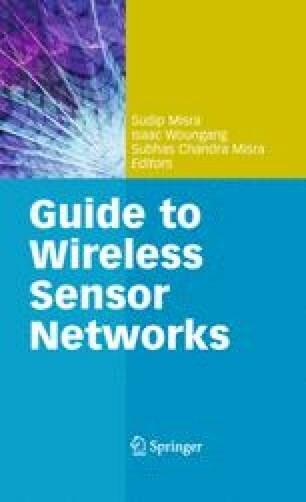 Although well studied for traditional computer networks, quality of service (QoS) concepts have not been applied to wireless sensor networks (WSNs) until recently. QoS support is challenging due to severe energy and computational resource constrains of wireless sensors. Moreover, certain service properties such as the delay, reliability, network lifetime, and quality of data may conflict by nature. Multi-path routing, for example, can improve the reliability; however, it can increase the energy consumption and delay due to duplicate transmissions. Also, high resolution sensor readings incur more energy consumptions and delays. Modeling such relationships, measuring the provided quality, and providing means to control the balance is essential for QoS support. In this context, this chapter discusses existing approaches for QoS support in WSNs and suggests directions for further research.